Love it or hate it, the use of social media to promote the immensely popular Kony 2012 video, has stimulated a global conversation that requires that we sift through some unpleasant truths. The video, posted on YouTube on 5 March has since gone viral on the Internet with over 100 million viewers. It is narrated by one of the founders of an organisation called Invisible Children, Jason Russell, and has drawn the support of celebrities including George Clooney and Angelina Jolie. Meanwhile it has provoked criticism for oversimplifying the conflict involving the Lord Resistance Army’s (LRAs) notorious leader Joseph by, for example, not making it clear that Kony was driven out of Uganda as far back as in August 2005. While such campaigns use cutting-edge technology that may expand our ability to harness these new platforms for conflict management and peacebuilding, it is worth noting that solutions to related problems, while illuminated by social media, do not depend on it. Simply knowing about Joseph Kony and the atrocities he and his followers have committed is therefore not a basis upon which to act and may at best inspire only the motive to act. This year marks the 50th anniversary of Uganda’s independence on 9 October 1962 and is a crucial time for reflection in the life of a country that has gone through some tough times since 1962. 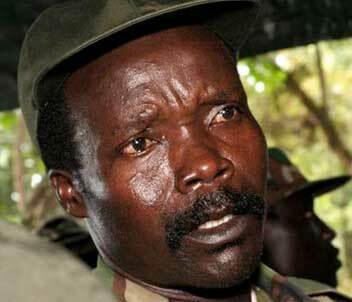 During this time, a major source of conflict in northern Uganda ended when Kony left the country. Although he is no longer in Uganda, the country is still not yet free from the LRA threat, mainly from a post-conflict reconstruction and development perspective, and has had to craft domestic and foreign policies to deal with such threats. Kony 2012 has now put Uganda back on the map and it can be argued that this focus may not lend itself to critical scrutiny if we do not question the role of social media in altering or shaping the conduct of conflict resolution, as well as in shaping domestic policies. Successive evolutions in social communication have changed the meaning of power in international relations, especially in North Africa, where the level of actors participating in political processes, either by default or otherwise, is now at that of individuals. Governments have lost much of their monopoly on power, and non-state actors and individuals have become much more active and significant participants in world affairs, primarily by using ‘smart’ or ‘soft power’. For the first time in history, people are now connected globally across borders and social media have brought about changes in the world that 20 years ago would have been impossible to imagine. Significantly, Kony 2012 represents a successful utilisation of soft power and public diplomacy that may force Ugandan policymakers to react positively to the groundswell of interest in and scrutiny of Uganda. The video campaign inadvertently encourages Ugandans, particularly those who have watched it, to reflect on the state of the country today, almost 50 years after independence. What started out as a virtual discussion may have repercussions for the country’s policymaking imperatives. Several factors come to mind, however, when attempting to understand the role of social media in conflict management. Firstly, although it is contentious, unfortunately the debate around the relevance and context of Kony 2012 has been disappointing and risks degenerating into trivial sloganeering. Given the lack of any definitive solution to the problem of Kony and the LRA, Kony 2012 arguably presents a new approach to highlighting a situation where all concerned parties have become jaded, ambivalent and wary because of the lack of solutions. It is quite misleading to frame the issue as a choice between whether or not Invisible Children has the right to propose its solution to the LRA debacle, or a discussion of who gives it the mandate to do so, to the detriment of other local initiatives. One can only hope that Kony 2012 will serve to reawaken nationalism among Ugandans that may result in policymakers taking steps to placate regional sentiment across northern Uganda. This is because some of the issues raised in the video are far from frivolous and may strike an emotional and responsive chord in the hearts of many Ugandans and exploit deep-seated popular resentments held by northern Ugandans in particular, who suffered from a brutal war from 1987 to 2006. This reservoir of deeply held sentiments may reappear if some of the old wounds from the brutal war are not dealt with. For even after the departure of Kony and the LRA, today northern Uganda still has its fair share of tensions in the form of land disputes, and service delivery and reintegration challenges, and more significantly, it has to deal with the psychological consequences of violent conflict. The video may lead Ugandans to ask why resources are spent on foreign policy imperatives – Somalia and the recent African Union LRA initiative come to mind here – in a region where urgent internal matters need to be addressed. Secondly, social media such as Kony 2012 stimulates a ‘problem consciousness’. It only helps us to be aware of our strengths and limitations, arguably enabling us to reflect, but little more. While some of the issues presented by social media are spontaneous, there is need to be aware that such media, including Kony 2012, are not simply explicable in terms of prior, rational deliberations that are taken forward, but, rather, are informed by a wide set of issues, including our social contexts, history and experience. Notwithstanding this, social media in particular as it relates to reporting on conflict issues, which is naturally an emotive topic, should be open to scrutiny. Without this, social media can easily reflect the prejudices of the authors/creators, where such positions can perpetuate discriminatory practices. In spite of critics’ best efforts to undermine Kony 2012, we need to acknowledge that we cannot control the use to which its contents can be put. Significantly, it is important to be aware of the issues surrounding the production of Kony 2012. Who funded it and why? What was the rationale for the video campaign and what are the consequences of such media? Asking such questions enables us to understand the context in which such products are made. It also enables us to counter the design and production of the video as simply a technical matter, uncontaminated by outside influences. Still, what is missing in the debate is an understanding that the status of social media and its role in managing conflict is probably transitional, and may well be something different next year or in the coming decades. It would therefore be fruitless to search for a politically correct posture to embrace the role that social media plays in this area. The role it plays in conflict management is still in its preliminary stages and any expected results may only be present more through a process of trial and error than by design. No overriding principle or notion of political correctness will be sufficient to handle the burgeoning nature of social media and what it can do to shape the conflict resolution landscape. Social media has come to stay, and we have to deal with the consequences. There are limits to counteracting Kony 2012, for we must acknowledge that we should not simply acquiesce, nor does it relieve us from the responsibility to ask what our own role has been in managing conflict and building peace in northern Uganda. What does Kony 2012 do to us at an individual level? What call to action is evident? As Uganda prepares to celebrate 50 years of independence, Kony 2012 may have inadvertently provided a platform for the asking of difficult questions. Looking back at Uganda’s last 50 years and in the face of political, social and economic challenges, it has been resilient and has withstood these reasonably well. Nonetheless, with the current global focus on and scrutiny of Uganda, social media such as Kony 2012 may have inadvertently revitalised internal discussion by ordinary Ugandans on important matters that impact on domestic politics.